A friend of the Shaer family – who lost a father and five children to a tragic fire – says 'there are no words' for what has happened. 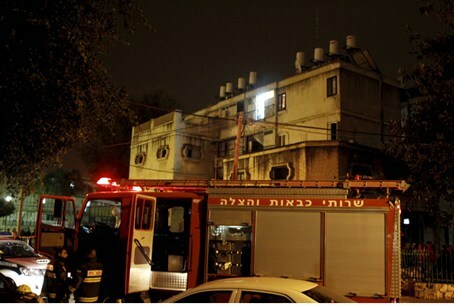 Haim Dar, A friend of the Shaer family – who lost a father and five children in a tragic fire in Rehovot on Tuesday – spoke to Aurtz Sheva about the tragedy. "As you can see, the sight is a shocking one," Haim Dar, a friend of the Shaer family, who lost a father and five children in a fire on Tuesday. "It is beyond my understanding to explain what is happening." "Children who study Torah who never sinned, we are going to bury five children, with the father who just wanted to save them and gave his life. There are no words. We are friends from the synagogue. There are no words." "A week ago we buried Avivit's brother, who was 50, young, who died of cancer. We have not yet recovered from that and we received another blow. It is a blow to the neighborhood and I am sure to Rehovot as well," he said. Guy Shaer, 38, and his five children – Eliav, 11, Evyatar, 8, Amitai, 7, Shira, 3, and one-year-old Itamar – were laid to rest Tuesday.